A six-car D.C. Metro train on the red line moved onto the wrong set of tracks and a safety device derailed the train causing three injuries. The safety device, known as a "derail" or "derailer" is programmed to automatically derail a train if it starts to move in the wrong direction down a railroad track, according to the Washington Post. There are many questions that need to be answered regarding this Metro wreck. First and foremost, what caused the Metro train to travel on the wrong track as workers are required to apply the braking systems? Was the operator distracted or intoxicated? Both the railroad/train operator and downtown controller are undergoing drug and alcohol testing to determine the answer. Unfortunately, D.C. Metro rail system has been involved in numerous wrecks this year including the worst crash in Metro history. Nine people were killed and over 60 people were injured in the crash. Another fatal Metro accident resulted in two workers getting killed when a maintenance truck hit them while repairing tracks. Other railroad accidents have occurred where there wasn't a loss of life, fortunately. All of these wrecks indicate a serious problem in the D.C. Metro system and dramatic action needs to be taken. 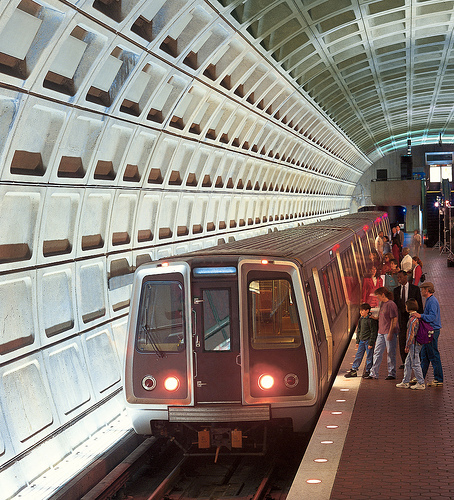 Washington, D.C. Mayor Adrian Fenty called for a "complete overhaul" of the Metro system including new management, according to the Washington Post. Given the dramatic increase in serious Metro rail/subway accidents, the Mayor may have a point.